NO FLOOD INSURANCE REQUIRED with this HIGH AND DRY, 1766 sq. ft., 3 bedroom, 2 bath, 2 car garage home built in 2007 on almost acre corner lot with room to design your OWN pool. 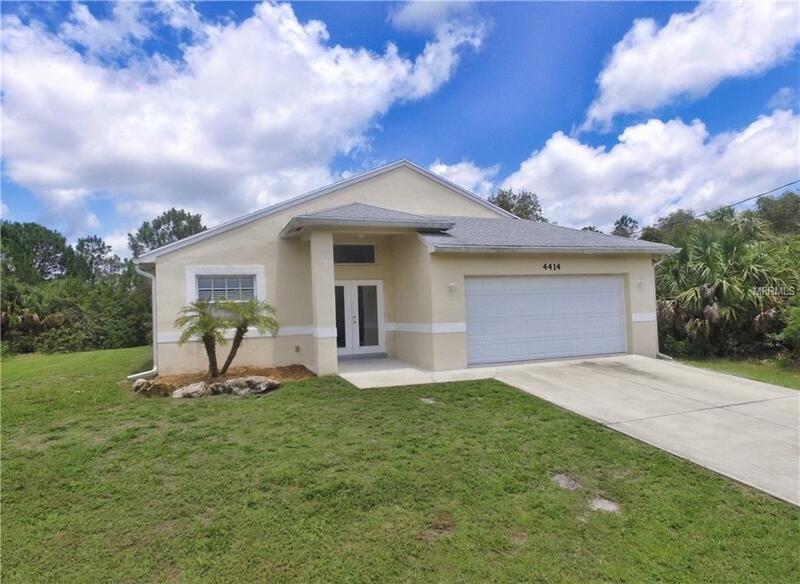 Located in Gulf Cove near the Myakka River state forest and blocks to the community boat ramp and park. This home has vaulted ceilings and a semi open floor plan with the Large kitchen right next to the great room and a bonus space or formal Dining Room upon entry. Tiled throughout the home except for the carpet in the bedrooms. Master bedroom has a nice size walk in closet and master bathroom with double sinks. Guest bathroom has a newer sink, and tub with shower. Home features an indoor Laundry Room with a new Washer, as well as a sink, dryer is also included and a new hot water heater. The PEACEFUL screened in Lanai allows you to BBQ and relax while watching the squirrels and birds playing in the back yard under the canopy of the Trees. Gulf Cove has a voluntary Property Owners Association with annual dues of $50. Members are entitled to use our private park. If a property owner wants to use the private boat ramp, it is an additional $50 per year.